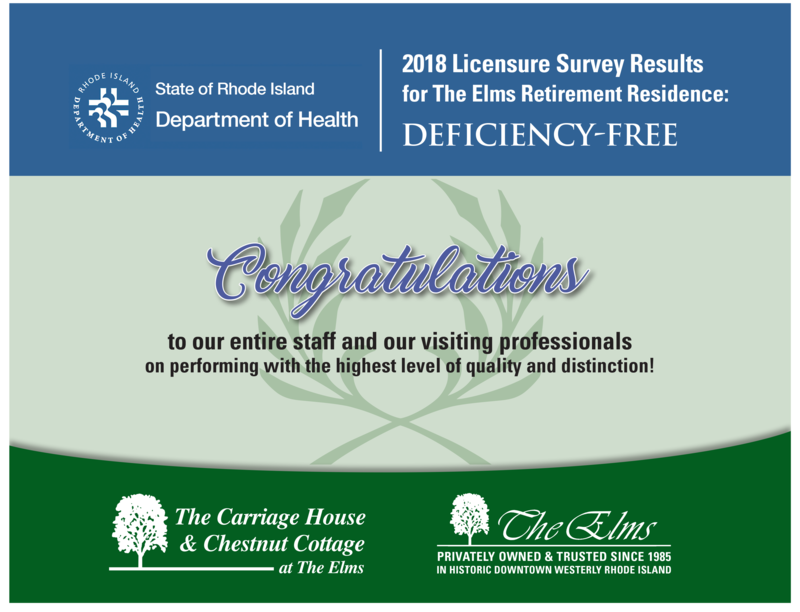 We are so proud to have received a “deficiency-free” report on the 2018 RI Licensure Survey. 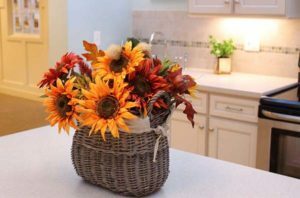 This recognition extends not only to staff at The Elms, Carriage House and Chestnut Cottage, but also to our visiting professionals. 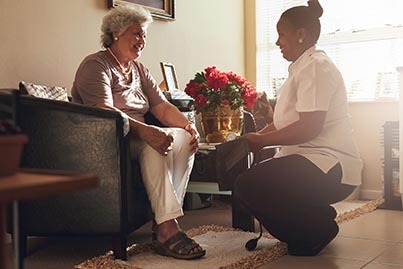 Although we know our staff works hard everyday to help our residents enjoy meaningful and productive lives, as well as maintaining a beautiful, safe and secure campus, it’s nice to make it official!